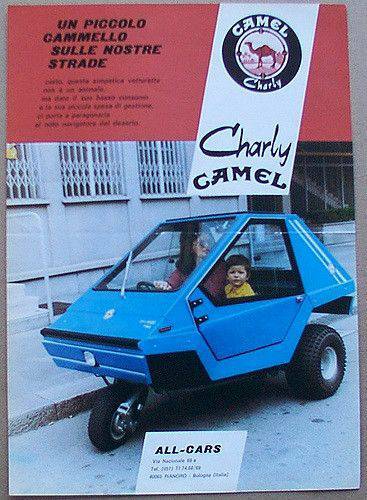 Back when cigarette advertising was everywhere, the guys at Camel decided that lung cancer was taking too long to kill their users, so they launched a three wheeled monstrosity that could murder you with CO2 from the 2-stroke weed-wacker engine, daily rollover events, or the complete lack of safety standards for you and your family (see Charly advert below for proper child placement). 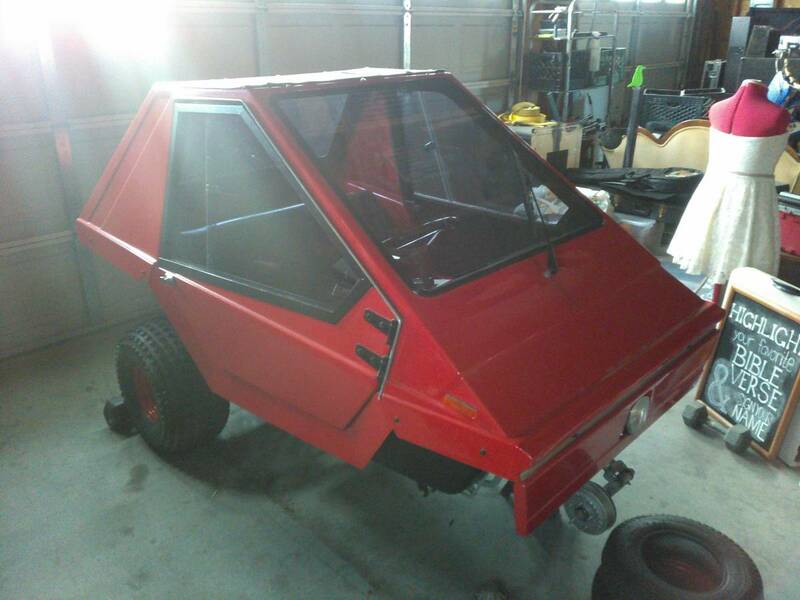 Luckily for you, we've got this 1978 All-Cars Charly Camel offered for $1500 in Ridgecrest, CA via craigslist. Tip from Rock On! Rare foreign import car, I had planned on restoring it to make an inexpensive commuter or a show car, but that idea is on hold for a few months, and I'm offering someone the chance to buy it out from under me if they're inclined. The Charly is a <500 lb three-wheeled microcar consisting of a fiberglass cockpit mounted on a triangular frame. This right-hand drive car seats 1.5 adults, sports two low-pressure all terrain balloon tires in the rear (only the rear though), and pretty much nothing else because this is the vehicular equivalent to a wheelbarrow. I broke the car down a little to see what makes it tick (currently still in partially broken-down state), and admittedly it's got some flaws. In it's current state the car can be made to run. Only reason it doesn't is a minor wiring issue caused by way of a poorly executed "upgrade" by the previous owner. Their intention was to remove the original 50cc piagio motor to replace it with a pitbike engine, and technically they succeeded in making a fun little toy for riding around private property. If you want to restore it to a road legal status, I still have the motor and it comes with the car. Powerplant aside, the car doesn't need a lot. Frame is in great condition, and the fiberglass body can't exactly rust. Wiring just needs a little love and the brakes don't currently hold fluid. So this can be an enormously fun little project/show car that can potentially be rebuilt in a weekend. Title has weird history due to it's age. 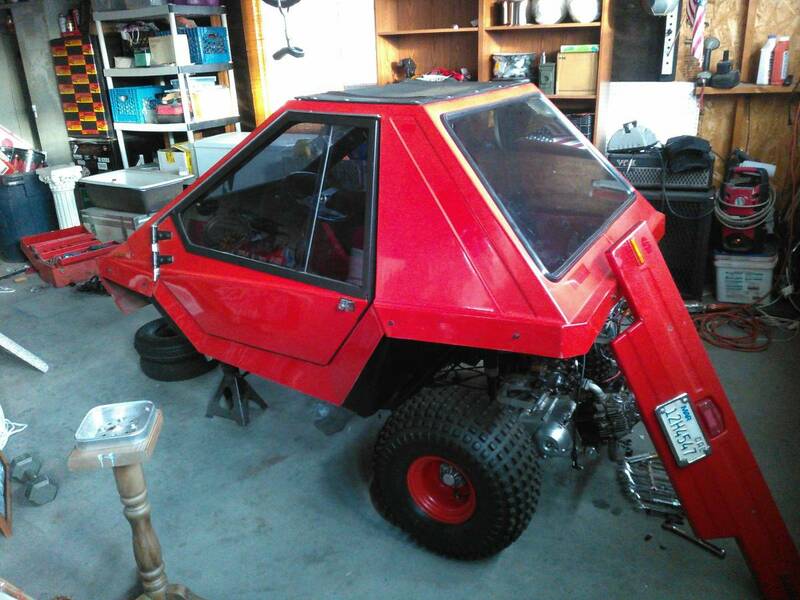 The DMV decided it was a snowmobile in '82, and with the passage of time now it's completely out of the system. You're not going to be saddled with late fees of any kind, but there will be a little paperwork involved if you want this car for a grocery getter. It's got tons of little quirks, so if you have questions you can shoot me a text at show contact info . Price flexible, trades considered. Honestly, I'd rather drive a lawn tractor, to which this thing probably is distantly related. The look of terror on that kid's face is priceless! The kid is probably still going to therapy to figure out why he gets anxious every time he hears a two stroke engine. Hilarious, I hope the new owner gets it back on the road! Bobinott's got the right idea. Buy an old lawn tractor and bolt the Charly Camel body on top. Heck, you could make money on both sides of the street doing lawns every time you ran to the corner 7-11 to get some beer. Looks like something that Mr.Bean would cut off and it would end up on its side.